Ecommerce is a truly fast-paced and constantly-changing industry. This is largely due to rapid developments in technology and ever-increasing global competition and buyer expectations. Additionally, there are marketplace regulations, policies and constraints, but there are also … frequent changes and updates to these. Online sellers must stay alert, especially if they sell internationally. 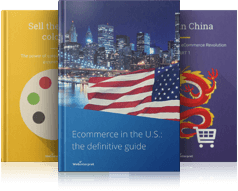 Global trends, ecommerce events, selected changes of policies and latest ecommerce studies may all be relevant to the future of your online business. So gain competitive advantage and identify potential opportunities and threats in their earliest stages. We encourage you to check multiple sources for ecommerce updates and we recommend this section to be one of them. Our articles will help you stay on top of trends, updates and stay in the know! Geo-blocking over: what does it mean for online sellers? British product quality rules the ecommerce business! Will toys have their biggest year this Christmas?